[New for late 2013] Wait, it's National Chocolate Cake Day? Cool, and cupcakes are really just tiny cakes right? Double cool because then the timing of this post is just perfect. See, a few weeks ago I got a belated holiday present from Perry's. It was five free container coupons and a new ice cream scoop. Woohoo! Time for a trip to Wegmans! They don't have a huge Perry's selection in my area, but I'm happy to try whatever they have.... especially if it's new! Well what do we have here? Otto's Cupcake from Perry's chocolate cupcake ice cream with orange colored frosting swirls and chocolate cupcake pieces. This one actually has a cool back story that you can read here. 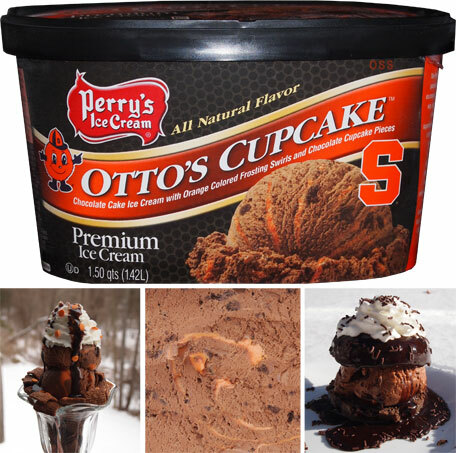 Basically the newest member of Perry's flavor team got to work out a flavor for her alma mater, Syracuse University. I so studied the wrong things in college.... stupid thermodynamics, what good are you to me now?! hehehehe, just teasing, I still love you entropy! First off, let me throw in the disclaimer that my first and second scooping of this one have been all about the breakfast sundaes. 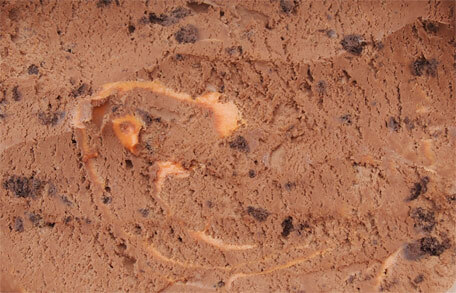 See, Perry's is running there "Sundae Fun Day Sweepstakes" through the end of the month. It's real easy too, just post a sundae photo on twitter, facebook or instagram tagged with #perrysicecream and #sundaefunday and you could win a ton of Perry's coupons. Good deal right? With my free ice cream on hand, seemed like a good excuse to help spread the word (go enter, what are you waiting for?). 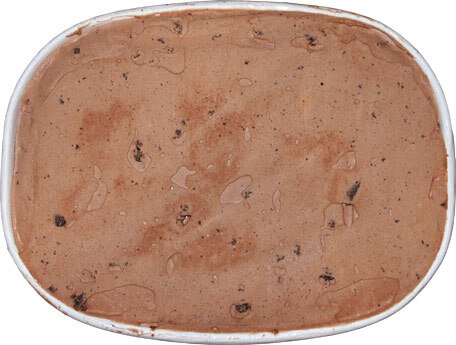 All I will tell you about these scoopings is that this ice cream paired great with both the chocolate toast crunch and the hershey's covered chocolate cake donut.